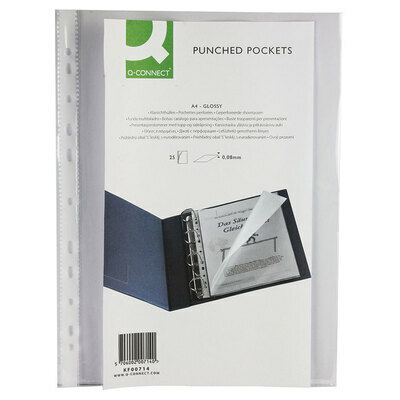 Made from high-quality polypropylene, these A4 Punched Pockets are ideal for protecting individual documents within larger binders. Their multipunched design means that they fit most types of ring binder and lever arch file. With a clear, gloss finish, in durable 80 micron material, they provide a sleek, professional look and offer long-lasting value. High quality office supplies are an often overlooked aspect of a smooth running, professional environment. Our Stationery Supplies is full of the products you need, such as A4 Refill Pad 80 Sheet and Punched Pockets A4 Clear 100pk, in a variety of pack sizes, but all at our great wholesale prices.